Now that he’s cast as the legendary Dark Knight opposite Henry Cavill in Batman v. Superman, Ben Affleck has never been more in demand. He’s also the star of the highly acclaimed Gone Girl, the movie adaptation that’s been hogging the Box Office for several weeks now. But what else don’t we know about this devoted husband to the lovely Jennifer Garner? Ben Affleck has an interesting lineage. Ben Affleck’s ancestry is very diverse. Affleck is of English, Irish, German, Swedish, Scottish and French descent. It’s no wonder he’s so multi-talented! Matt Damon has been his good friend since they were kids. Ben Affleck and Matt Damon go way back. When Ben was eight and Matt was ten, they lived two blocks away from each other and instantly became friends. We all know how that turned out—Good Will Hunting is proof of how awesome their friendship is. Being a director is something he is very, very good at. Ben Affleck is no stranger to being behind the camera. “Gone Baby Gone”, “The Town”, and “Argo” are all critically acclaimed, proving that Ben Affleck not only has the acting chops but also the directorial skills to make it in Hollywood. Burger King and Ben Affleck go way back. Gone Girl is now a blockbuster hit, but Ben Affleck actually started his career at a Burger King joint. Affleck’s first career shot was for a Burger King commercial. Ben Affleck and costumes apparently didn’t mix. Ben Affleck is a sad and brooding Batman in the upcoming film. “By playing a superhero in Daredevil, I have inoculated myself from ever playing another superhero… Wearing a costume was a source of humiliation for me and something I wouldn’t want to do again soon,” Affleck once said. 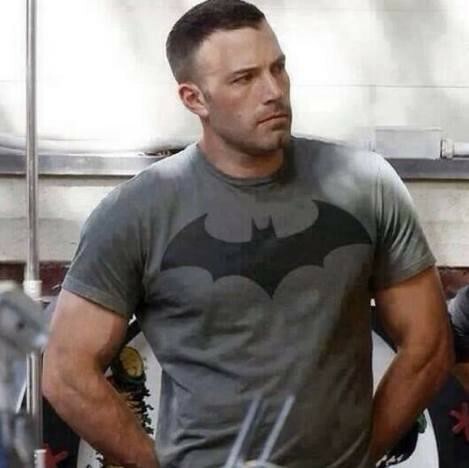 Obviously we’re going to see more of Ben Affleck in costume as Batman. How did Zack Snyder convince him, we wonder? I am the recent biggest fan of Ben Affleck after being completely charmed by his super fantastic performance in ‘Gone Girl’, though i find many loose ends in the filiming among which the most important is the feeling of ‘thrill’ which one suppose to experience during the movie. But regarding performaces Ben was doing justice with his character. Well after this movie, now i am counting days to catch the first look of Ben as dark knight in the teaser, though being a greatest fan of batman somewhere i wanted Chritain Bale to continue this role but i have got no objection if Ben is doing it because he is indeed multi-talented. He was pretty good in the movie “Dare devil” performing a blind vigilante and saving the city against evil and therefore i think he will awesome playing Bruce Wayne/ Batman.